Description TripAdvisor.com is a website that provides reviews of travel-related content. 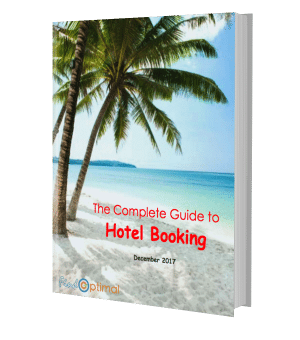 It claims to be the largest travel site in the world, with more than 315 million members and over 500 million reviews on hotels, restaurants, attractions, etc. The brand belongs to TripAdvisor Media Group, which operates 25 travel brands including TripAdvisor, Airfarewatchdog, BookingBuddy, Citymaps, Cruise Critic, Family Vacation Critic, FlipKey, GateGuru, Holiday Lettings, Holiday Watchdog, Independent Traveler, Jetsetter, lafourchette, Niumba, OneTime, SeatGuru, SmarterTravel, Tingo, TravelPod, Tripbod, VacationHomeRentals, Viator, and VirtualTourist. History TripAdvisor was founded by Stephen Kaufer, Langley Steinert and several others in 2000. It was originally planned to focus on official reviews, but user-submitted reviews far surpassed those professional reviews soon. The company was purchased by InterActiveCorp(IAC) in 2004. In August 2005, IAC spun off its travel group of business under the Expedia, Inc. name, which include TripAdvisor. In December 2011, TripAdvisor was spun off from Expedia in a public offering.